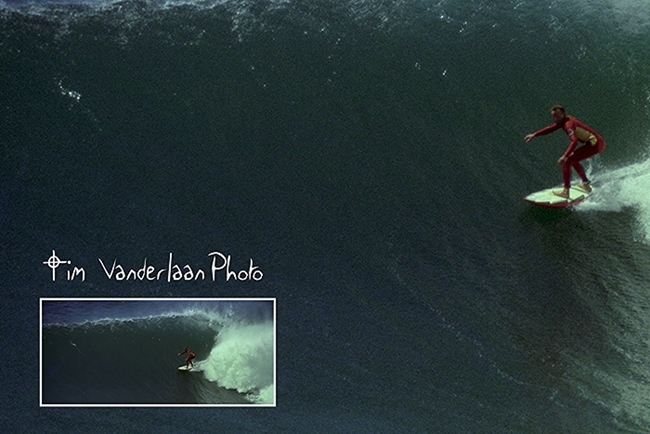 Rod Katis at Elouera Beach in the late 80’s. Tim Vanderlaan Photo. Early 1980’s. 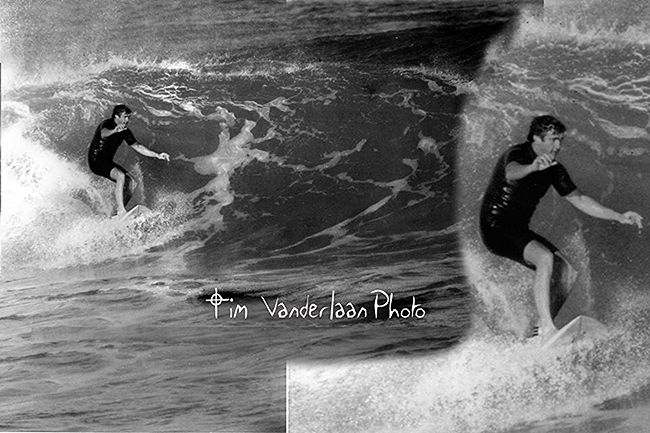 Tim Pooley stalling in the pocket of a nice Wanda Beach wave. Tim Vanderlaan Photo. 1982. Wanda beach. A 35mm film camera mounted to the nose of a surfboard captures a unique angle. The difficulties of getting this type of shot has been simplified with the use of todays Go- Pro cameras. Tim Vanderlaan Photo.